The first month of the year is over and now it’s time to compare how you did last month. But you can’t because you don’t have anything to compare to since you haven’t yet completed your budget for the year. It is important that you prepare a budget, no matter how small or large your business is. It’s almost impossible to experience growth and profitability without one. Here are three reason why you need to have a budget for you business. 1. Plan for Profit. The number one reason you need a budget is so you can plan for profit. You can’t just say “I’m are going to make $500,000 this year” without documenting how you are actually going to reach it. See within your budget you will have detailed out where this income is going to come from such as the different services and/or products you offer. You will break down which months will have higher revenue then others so that you can plan your spending. You with chart out the new opportunities and program launches costs as well as the offsetting and expected revenues. Listing out all of the way you can bring in revenue will help you determine if you goal is actually achievable or not. 2. 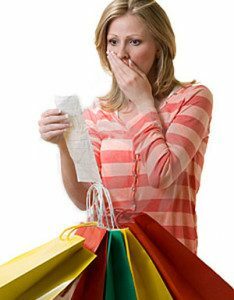 Avoid Overspending. The second reason you need a budget is to avoid overspending. Having a budget helps keep you on track with your spending. When you do not have a budget you are more likely to spend money whenever you want just because you have it. Then when costs come up that need to spend money on you can’t or you scramble to try and generate or “find” it because you don’t have it. Once you get into this cycle it is very hard to get out of it. Having a budget forces you to write down everything you have to spend to create your products and offerings, or to provide your services, as well as what you have to pay to keep the lights on. You know those must have expenses such as payroll, insurance the actual utilities. Listing out all of your expenses forces you to take a hard look at all of the things you are paying for that you may not really need or could find an alternative vendor source for. 3. Monitor Your Metrics. The their reason you need a budget is so you can monitor your progress. Looking at a Profit and Loss every month and seeing your income and cost increasing give you a sense or feeling of growth. But until you actually compare it to your planned goals you don’t really know if it’s working. Having a budget give you something to compare to and this process of comparing shows you where things are going better than planned and where they are not going as planned at all. Looking at how you are doing compared to plan, or budget, give you the information you need to make adjustment to the future months to ensure that you still meet your overall goal. Understanding the importance of budget is just the tip of the iceberg. Now it’s time for you to create one. What are some reasons you think you need to have a budget in your business.